Kurigan, you are a fast devil. Of course it is the HMS Surprise! Im loving the brick built hull! Hey guys, I just ordered a few bearskin hats and I was wondering if anyone had any experience with using them with various backpacks. I never see the combo; do they not fit together? Are you talking about the ones used on the Royal Guardsman Minifigure? If so, then yes. 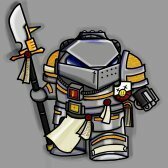 I've made some Guards/Grenadier soldiers with them, and they fit with the standard backpack. I'll see if I can't get a picture. I've been working on a project to help my pretty much non-existent Naval forces. 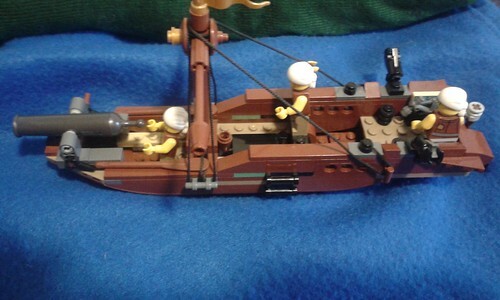 In doing so, I'm in the process of refitting my Brick Bounty as a Redcoat privateer, and I created the below as an interim Bluecoat craft (for context I have about 3 times as many Redcoat sailors). As for my creation, I labeled it a Gunboat, although I don't know if it would qualify as such. I have two main concerns/questions- should I change the mast to the solid mast piece; and would it be better to keep the Gunboat or scrap it for something larger and more substantial (such as a Cutter, or at most a Sloop). I'm unsure, as I think each can be useful; though I do like the idea of a coastal support craft. @CommanderJonny1 Hello and welcome to our pirate's cove . Your build is a nice first try and it's your decision should you want to keep this moc of yours or try to build something larger. Regarding the masts of this size, I think brick built ones (with many arts used) look better and having multiples of this piece works wonders. If you have the time, always use rigging (some string and a cloth or paper) as they make vessels look a lot better. 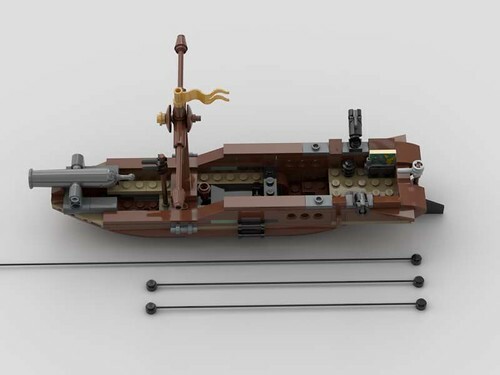 If however you decide to go larger, in my opinion, the first thing you should do is to widen the vessel a bit to make it look more "realistic" (at least in minifig scale). Anyway, i hope I've been of help to you and as always, keep building! Thanks! I'm big in to history, so this goes hand in hand. If you have the time, always use rigging (some string and a cloth or paper) as they make vessels look a lot better. I have used those strings for rigging, though I admit to it being a bit lacking. I did think it was a bit narrow, but I justified it as it being small enough in size; I wanted more than just rowboats. Also, it gives me a nice name (Swordfish), though historically Gunboats were actually numbered. Anyways, thank you for the feedback!